To Register Visit: CommandPresence.net/register. GTOA Members get $50 off. The Ultimate Training Munitions (UTM) Instructor Certification Class prepared students to design, instruct and implement scenario based training programs using UTM NonLethal Training Ammunition. 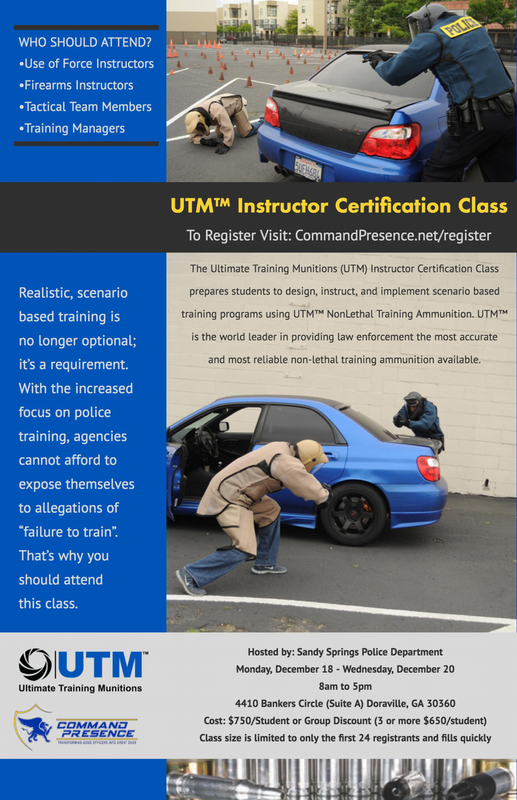 UTM is the world leader in providing law enforcement the most accurate and most reliable non-lethal training ammunition available.